This gorgeous little girl wanted nothing to do with sitting still for her pictures! Once she arrived at the studio she was go, go, go, crawling out of every set just as soon as it was in place. Thankfully, I have a pretty quick trigger finger and once we brought out the cake, that captured her attention for quite some time! 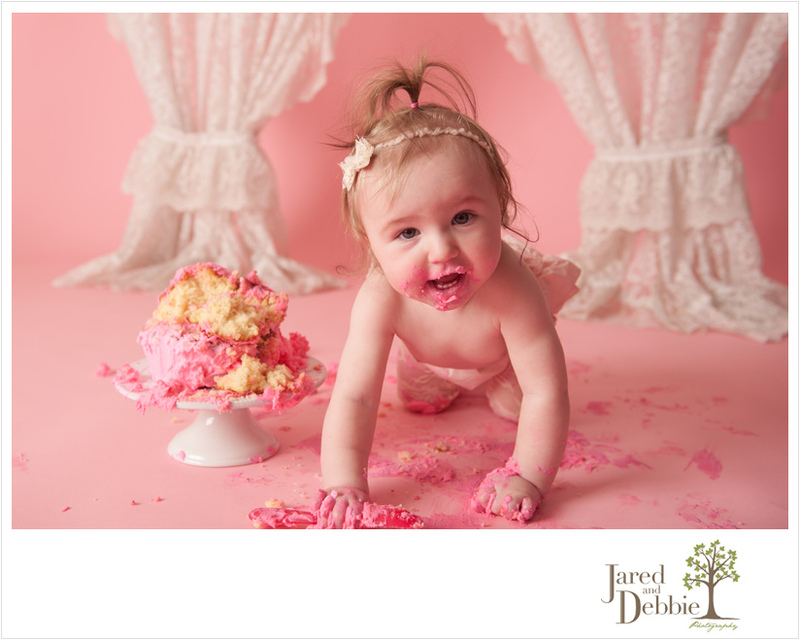 Here’s just a peek at Zoë’s cake smash session!